Get help from a Washington State bankruptcy lawyer today! All Chapter 7 and Chapter 13 bankruptcy cases handled. We understand that financial distress can happen to anyone. Contact a Pierce County bankruptcy lawyer from our team today for help! If you need to file for bankruptcy in Pierce County, our debt relief professionals are here to help you determine if you can qualify for protection. As a practical matter, you probably have a lot of questions regarding your debts and assets, as well as how the bankruptcy process works here in Washington State. Stop being bullied by your creditors! Your creditors and those vicious bill collectors that do their dirty work hope that you never figure out the truth behind WA bankruptcy laws. They hope that you believe that even considering the thought of bankruptcy equates to you being a failure with your life. We want you to understand that this is truly absurd. Get the protection that WA bankruptcy laws are meant for. The reason your creditors want you to believe that you shouldn't file is because they know that if you call our offices they will probably NEVER see another dime of your hard earned money. You see, they know the truth. The Federal and WA State bankruptcy laws were enacted specifically to aid and protect honest, hard working people just like yourself. When you hire a Washington State bankruptcy lawyer from our firm, you can be assured that we will do everything legally possible to help you maximize your protection and your relief under the bankruptcy laws. Eliminate all of your unsecured debts. Stop any wage garnishment actions. Discharge any judgments against you. Stop any pending or future lawsuits. Immediately stop all creditor harassment and phone calls. Save your home and car (Depending on which type of bankruptcy you file). Many of our clients find themselves in financial chaos through no real fault of their own. Whether through predatory lending tactics, unscrupulous credit card companies, sudden loss of employment, an unforeseen medical emergency, divorce, or a host of other reasons, good people often struggle at one time or another during their lives. There is ABSOLUTELY NOTHING to be ashamed of if you suddenly find yourself experiencing financial difficult, especially in these difficult times. Our Pierce County bankruptcy attorneys want you to the know the real truth. The bankruptcy laws were specifically enacted to help good people get back on their feet. Call now for a free bankruptcy consultation and financial analysis. Your debt is the only thing that you really have to lose! Need to stop a home foreclosure auction immediately? Losing your home through a Pierce County foreclosure auction. Having your wages garnished or being sued in court. Losing your car through repossession. Being evicted and ending up without adequate housing. Being denied credit in the future. Get your debts discharged with Chapter 7 or Chapter 13 bankruptcy. Our knowledgeable and compassionate Washington State bankruptcy lawyers are here to help you get out of debt and hit the reset button on your financial life. Both Chapter 7 and Chapter 13 bankruptcy are incredibly powerful financial tools that enable you to literally wipe out or "discharge" all of your qualifying debts. 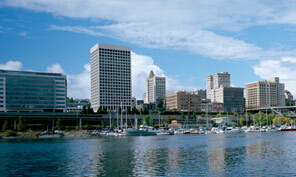 Most of our Pierce County bankruptcy clients also keep 100% of their property after their case is completed. It really is kind of like a financial miracle in many ways. And, if you qualify, filing for bankruptcy here in Washington State is your absolute legal right. There is nothing your creditors can do to stop you! Let us help you determine if bankruptcy is right for you. When you file for bankruptcy, you will be able to catch up with your bills and, more importantly, you will immediately free up valuable cash flow every month. Bankruptcy enables you to get a fresh start with your finances. Many of our clients are understandably skeptical about filing for bankruptcy. This is because our society programs you to believe that bankruptcy is a very bad thing. Many of our clients feel as though even considering filing means that they have failed their family. In truth, this is ridiculous. They are also embarrassed that they let their finances get out of control. If you feel this way, we know exactly what you are going through. Our Pierce County bankruptcy attorneys understand that choosing to file is an extremely difficult decision. Sometimes, however, moving forward with bankruptcy is the only real option in terms of actually helping you out of your desperate financial situation. Some of our clients literally struggle for years before they realize how we can help them. Don't let this scenario happen to you. Knowledge is power. And, that's why we always offer a free initial consultation. We are here to help you decide if bankruptcy is right for you. A team of dedicated Washington State bankruptcy attorneys fighting for you! Filing for bankruptcy in Pierce County can be a tedious process; there are a lot of forms and paperwork to fill out. You also need to provide the Tacoma Bankruptcy Court with a lot of financial documentation. In fact, if you make one little mistake on your bankruptcy filing, you may get your case dismissed and have to start all over again. This is where Washington State bankruptcy lawyers can really help. We have a very thorough working knowledge of the law and our local bankruptcy courts. We have many years of experience helping our clients file for bankruptcy in Washington State. If you qualify, we can help you too! We can help you decide which type of bankruptcy is right for you. We handle properly preparing all of your bankruptcy paperwork. We make sure that all your financial documentation is properly filed. We help you prepare for appearing in court. FREE consultation - talk to a Pierce County bankruptcy lawyer today! The first step to getting a fresh start is to speaking with an experienced Pierce County bankruptcy lawyer from our team today. This is one of the many reasons why we offer a free initial consultation. We're here to help you develop an effective plan for getting out of debt. Give a Pierce County bankruptcy attorney from our team a call today to learn more about filing and how it can help. We handle all Chapter 7 and Chapter 13 bankruptcy cases at low flat fees and offer affordable payment plans! Call now for a free bankruptcy consultation.